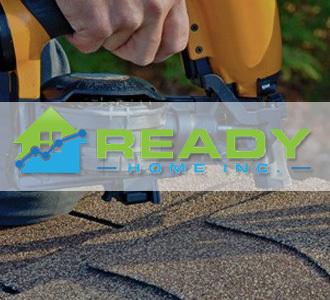 Roofing Contractor in Chicago - Ready Home Inc.
Our quality and high-end roofing repair, roofing replacement, and roofing installation speak for us everywhere we go. With our years of experience in this field and highly professional team, we will provide you with the top solutions for the roof of your commercial and residential areas. The Top Chicago Roofing Team! Emergency Roofing Services in Chicago Area. We are ready to help you out with your roofing requirements. All you need to do is give us a call and we will reach at the desired location on the time that you have suggested. We will never say no as we are aware that roofing emergencies can happen anytime in the house or commercial buildings. Quality Roofing Services in Chicago. The main goal of our team is to provide quality services to our clients in Chicago area. Despite the job, we make sure to meet all your demands in the best possible way. This is the reason that all our previous clients love and trusts our working style and work ethics. We will inspect every inch of your roof before providing the perfect solution. No other roofing contractor in Chicago area offers a more affordable value on such thorough roof repair.